This Wednesday Michael and I celebrated out 45th wedding anniversary. Time flies! We celebrated with a little stay-cation. The dogs went to spend the night camp and we drove up to Chattanooga for a late lunch. Lunch was not as good as it has been at that same restaurant in past years, but if I can’t say anything nice, I won’t say anything at all. 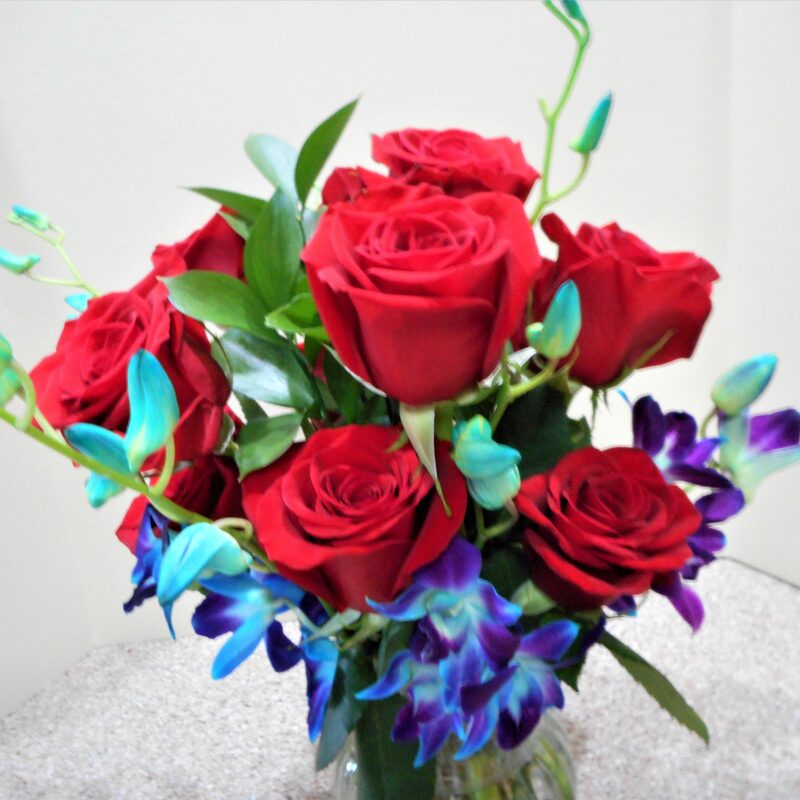 Michael also remembered the occasion with flowers and candy. I guess I’ll keep him! I’m almost ashamed to admit it, but I did very little cooking this week. Notice I said “almost ashamed”. I’m really not! One dish that did come out of the oven started in the freezer. 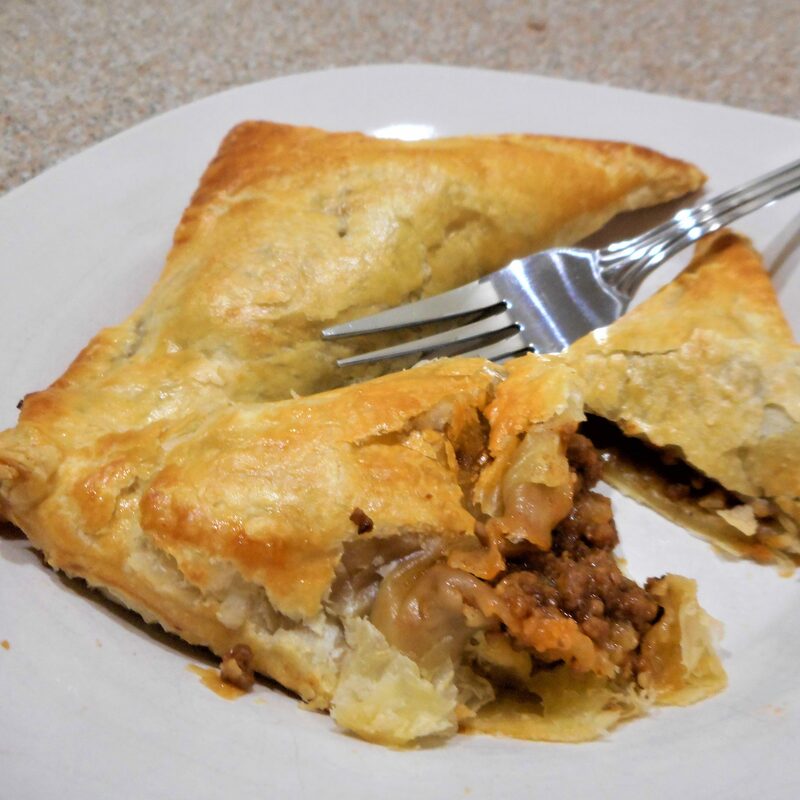 A container of Not So Sloppy Joes was folded into frozen puff pastry to become Sloppy Joe Turnovers. A House Salad topped with My Buttermilk Dressing and a side of Cream-Style Corn for the Freezer rounded out a simple, no effort supper. I try to prepare some sort of fish or seafood on Friday nights, but since I had shrimp and grits in Chattanooga that wasn’t a big concern. 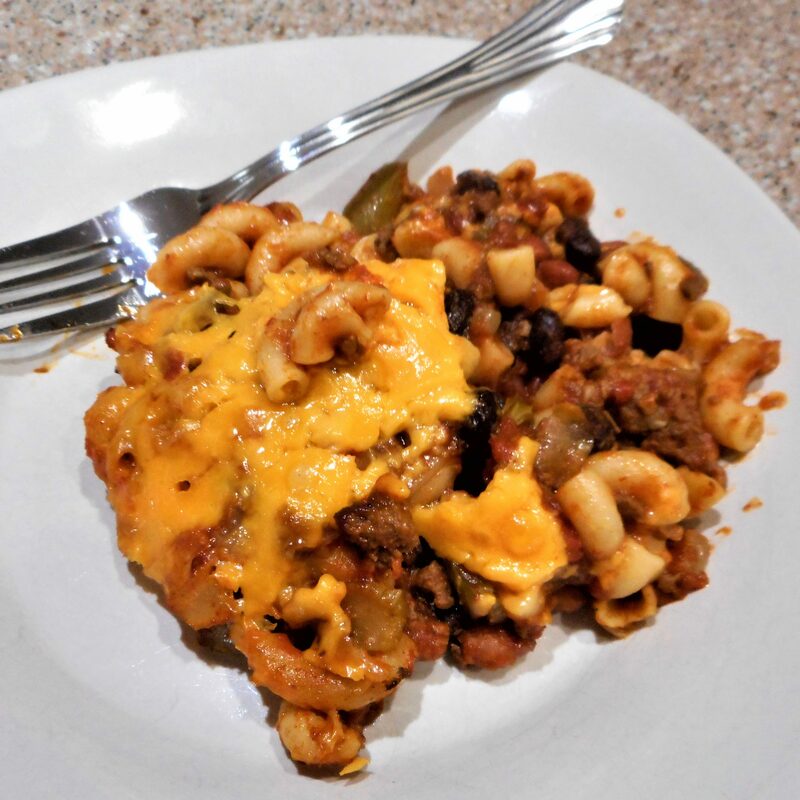 Friday nights’ fare was another straight from the freezer casserole, Mexi-Mac. 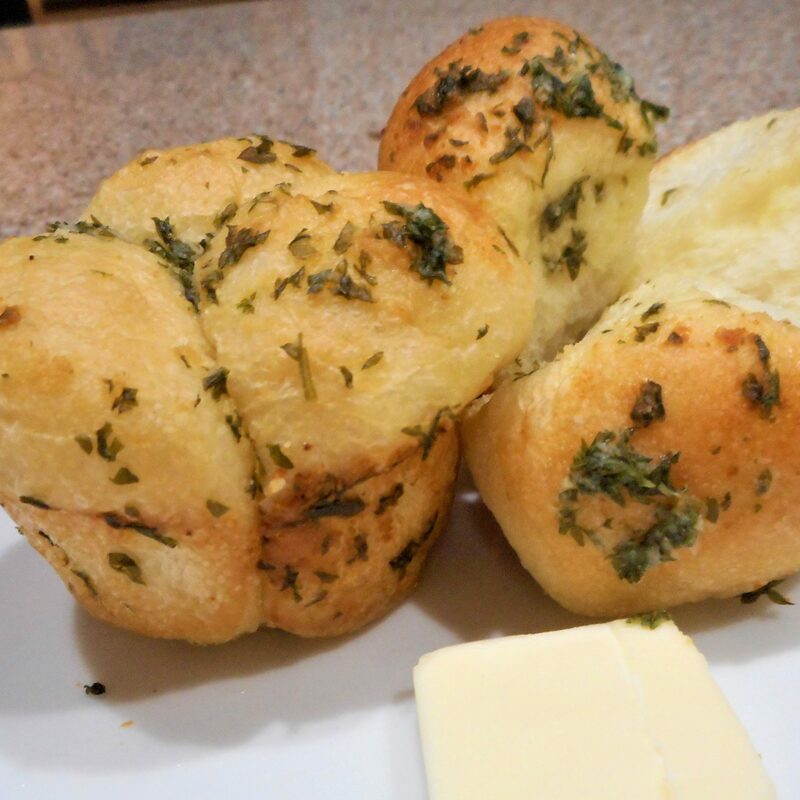 If you decide to try this freezer friendly recipe, be sure to leave the macaroni on the firmer side. It will soften up a bit in the freezer. As with many frozen casseroles, try to think ahead and move the dish to the fridge to thaw ahead of time. 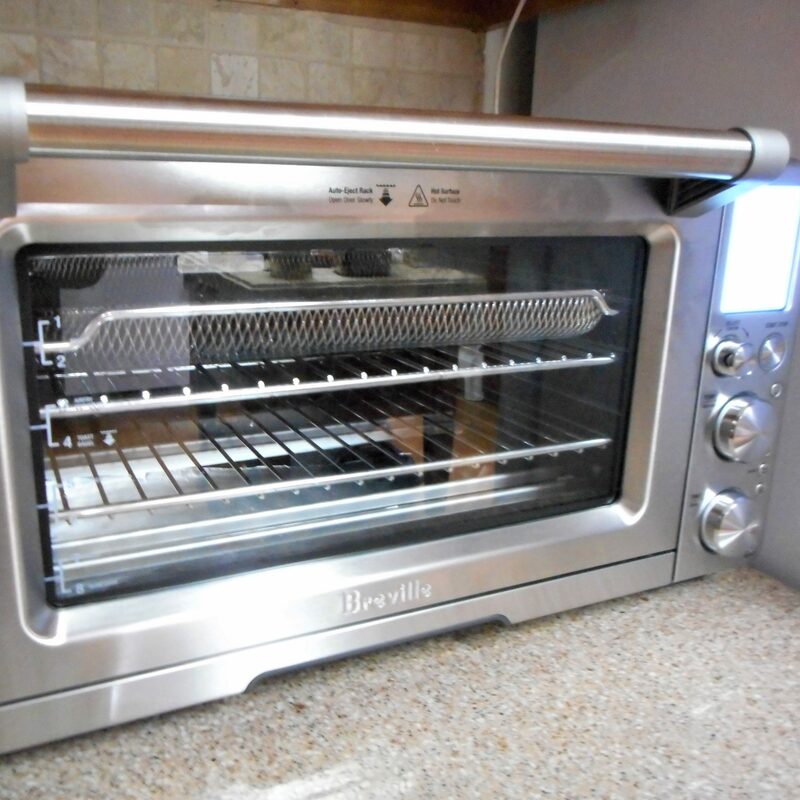 It will heat more quickly and evenly if you give it a head start. Michael has always had a sweet tooth. I think he got it from his mother. She fed her six kids sweets to keep them happy. Well, in an effort to keep my guy happy, I try to fix one dessert a week. Since I don’t care for sweets myself, (give me a block of cheese! ), that one dessert generally lasts most of the week. 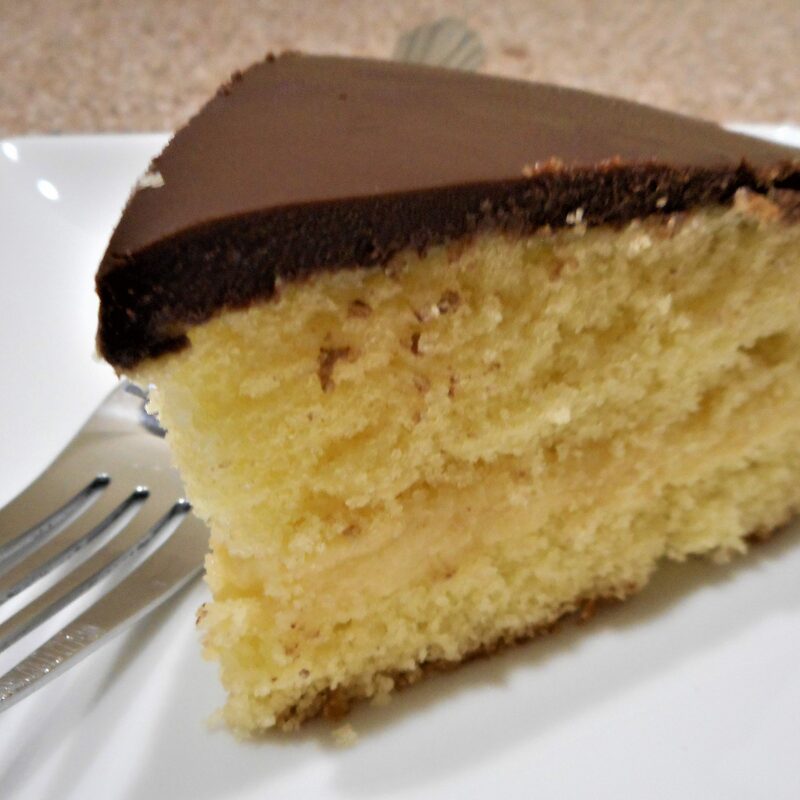 This week it was Simple Boston Cream Pie. Fancy desserts don’t get any easier than this. You bake up a boxed one layer cake mix, split it and fill with instant pudding, and melt some chocolate chips with cream for the topping. That’s it! Oh, Happy Fathers Day! More on that later. This entry was posted in Uncategorized on June 17, 2018 by lizziesmom2012.